AudioControl has paired our award winning amplifier technology with our powerful Matrix DSP into the D-4.800. This single-unit solution provides unprecedented power and tuning flexibility when you require audio perfection from your factory or aftermarket sound system. The D-4.800 features active speaker level inputs, line-level inputs and outputs plus, using AudioControl’s DM Smart DSP app gives you complete control over all features including 30 bands of equalization, signal delay, input delay, polarity and AudioControl proprietary features like AccuBASS®, GTOTM Signal Sense, and MILCTM plus integrated input and output RTA’s. Perfect for OEM integration and aftermarket builds, the D-4.800 packs power and intelligent flexibility into one beautiful cast aluminum chassis. 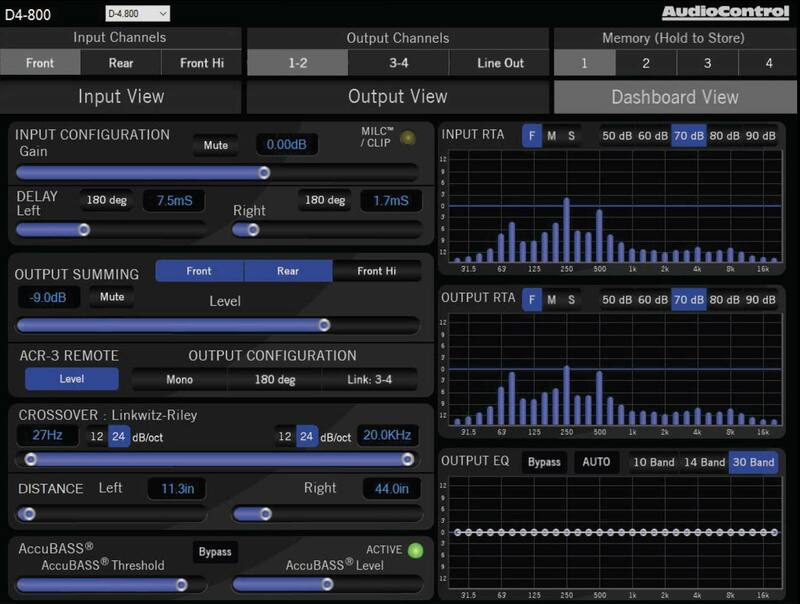 Connect your laptop to the D-4.800 using AudioControl’s DM Smart DSP app, a fully featured Matrix DSP Interface designed to give you instant and clear control over every aspect of your processor. 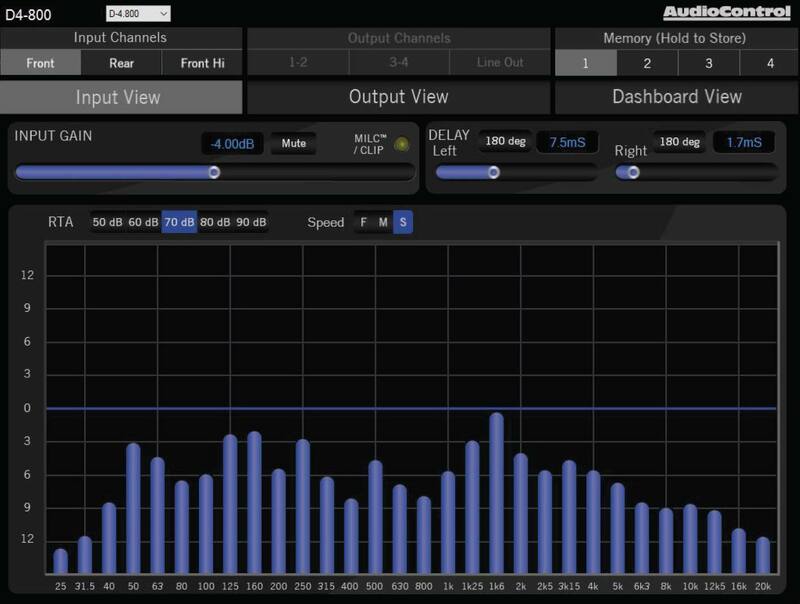 Route any input to any output, adjust gain, delay and polarity then precisely tune the D-4.800 using a 30 band EQ. High-pass, low-pass and band-pass can be set up for any output using 12 or 24 dB/octave Linkwitz-Riley crossovers. 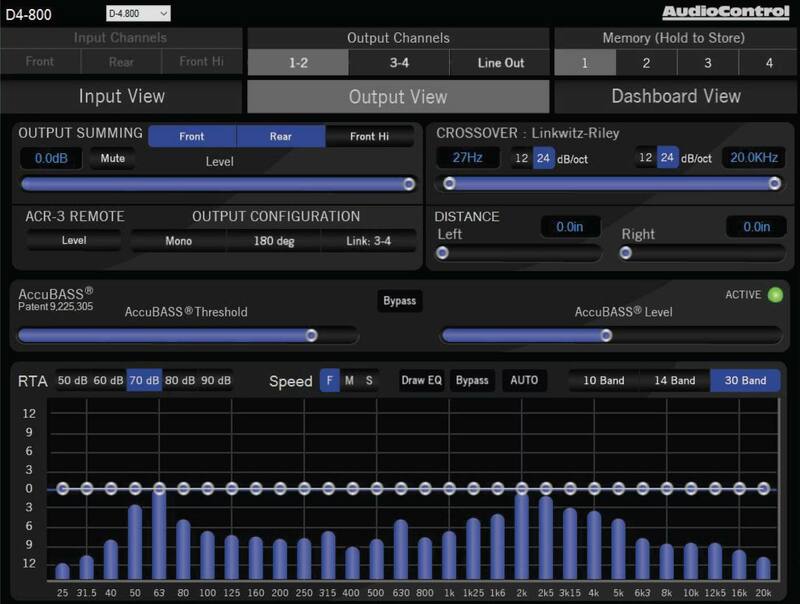 With a clear GUI and intuitive workflow, AudioControl’s DM Smart DSP app will take the guesswork out of tuning your system to your exact specifications.